382 pages | 63 B/W Illus. The question of money, how to provide it, and how to acquire it where needed is axiomatic to development. The realities of global poverty and the inequalities between the ‘haves’ and the ‘have-nots’ are clear and well documented, and the gaps between world’s richest and the world’s poorest are ever-increasing. But, even though funding development is assumed to be key, the relationship between finance and development is contested and complex. 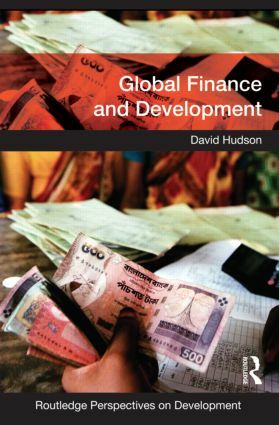 This book explores the variety of relationships between finance and development, offering a broad and critical understanding of these connections and perspectives. It breaks finance down into its various aspects, with separate chapters on aid, debt, equity, microfinance and remittances. Throughout the text, finance is presented as a double-edged sword: while it is a vital tool towards poverty reduction, helping to fund development, more critical approaches remind us of the ways in which finance can hinder development. It contains a range of case studies throughout to illustrate finance in practice, including, UK aid to India, debt in Zambia, Apple’s investment in China, microfinance in Mexico, government bond issues in Chile, and financial crisis in East Asia. The text develops and explores a number of themes throughout, such as the relationship between public and private sources of finance and debates about direct funding versus the allocation of credit through commercial financial markets. The book also explores finance and development interactions at various levels, from the global structure of finance through to local and everyday practices. Global Finance and Development offers a critical understanding of the nature of finance and development. This book encourages the reader to see financial processes as embedded within the broader structure of social relationships. Finance is defined and demonstrated to be money and credit, but also, crucially, the social relationships and institutions that enable the creation and distribution of credit and the consequences thereof. This valuable text is essential reading for all those concerned with poverty, inequality and development. David Hudson is a Senior Lecturer in Political Economy. His principal research interests lie broadly in the political economy of development. More specifically he is interested in public engagement with global poverty, the international political economy of development finance, and the politics of development. Routledge Perspectives on Development provides an invaluable, up to date and refreshing approach to key development issues for academics and students working in the field of development, in disciplines such as anthropology, economics, geography, international relations, politics and sociology.